Summer Is Coming! Have You Found the Right Vacation Rental? It's that wonderful time of year again. The kids are out of school, the days are longer and vacation time is just around the corner. Your weeks of planning the perfect vacation in just the right vacation rental are about to pay off. All you have to do is pack up for your trip and you're on your way! Wait a minute... You haven't booked a rental yet? You waited to the last minute to start looking for a vacation spot? No problem! The Vacation Rental Connection has thousands of vacation rentals available this summer and have a few handy tips for making your summer vacation a success. * Florida's Panhandle: Widely known to locals as the Redneck Riviera, this beautiful stretch of beaches is an amazing summer destination. Panama City, Destin, Fort Walton Beach and Pensacola have beautiful sugar-white sands and the clear blue waters of the Gulf of Mexico. * The Outer Banks of North Carolina: The Outer Banks are a unique group of barrier islands stretching for over two hundred miles along the coast of North Carolina. Great surfing, fishing, and shell collecting make the OBX a popular vacation spot for many East Coast families. From the northern 4WD beaches of Carova with their wild Spanish mustangs, to the remote southern gem known as Ocracoke Island, the Outer Banks are a special vacation area. 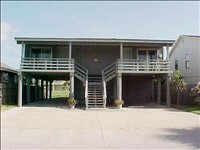 And, with over 16,000 rental homes available, you can always find something! * Central Florida / Theme Park Heaven: If you have children to entertain and are looking for a magical trip, a vacation to Orlando in central Florida is a wonderful option! Not only is the Magic Kingdom of Disney World close by, but other theme parks like Universal Orlando, Sea World Orlando, Lego Land and more await you. There are thousands of vacation rentals in the area and you can have an amazing trip visiting some or all of the different theme parks. 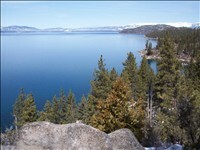 * Lake Tahoe - California & Nevada Sides: Looking for something different for this year's trip? If you've done the beach trip and theme parks aren't your thing, Lake Tahoe might be the ticket. Lake Tahoe is a huge freshwater lake located in the Sierra Nevada, straddling the state line between California and Nevada. Depending on where you stay, there are a multitude of activities including hiking, biking, climbing, boating, fishing, skiing, swimming and even gambling (if you stay on the Nevada side of the lake). 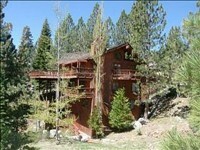 Lake Tahoe has many different options for vacation rentals, ranging from condos to luxurious lake-front mansions. Something for everyone! click for larger image The Outer Banks of North Carolina is a wild and wonderful vacation area. click for larger image A Disney World vacation is the stuff children's dreams are made of. Magic for the whole family. click for larger image Lake Tahoe is an amazing year-round vacation spot. 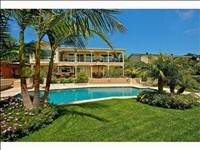 click for larger image Relax at this San Diego Vacation Rental Connection home. Are you trying to stretch your summer into fall or are you ready to embrace sweater weather and see the leaves change? Either way, Vacation Rental Connection has great ideas for fantastic fall getaways. Yes, it’s time to plan a fall vacation! See the top five fall destination ideas below, pick your favorite and find a wonderful vacation rental all in one location – Vacation Rental Connection! 1) Fort Myers Area – The southern region of Florida’s Gulf Coast includes, Fort Myers, Marco, Sanibel and Captiva islands and Naples. Aside from a potential storm, the weather in fall is perfect for enjoying the beach. 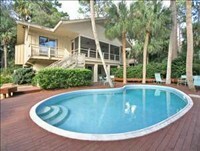 It will be warm enough to sunbathe and take a dip in the Gulf, but not crazy hot like it is in summer. 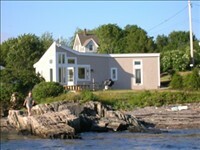 Enjoy the window of September and October for the best weather and affordable vacation rental rates. 2) Western North Carolina - this beautiful stretch of the Blue Ridge Mountains is an amazing fall destination. From Sugar Mountain to Boone to Lake Lure, there are several small towns tucked away for beautiful views of the fall scenery, local folk art, and apple picking. 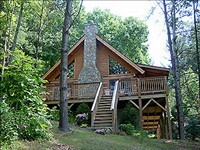 And, if you are looking for city life with all the wonderful fall mountain attractions, Asheville is your place. 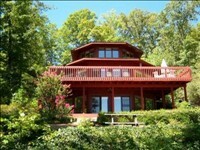 Choose from over 130 VRC homes throughout Western North Carolina. 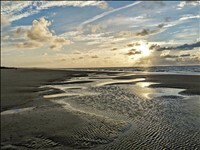 3) The Outer Banks of North Carolina: Great surfing, fishing, and shell collecting make the OBX a popular vacation spot. From the northern 4WD beaches of Carova with their wild Spanish mustangs, to the remote southern gem known as Ocracoke Island, the Outer Banks are a special vacation area. The best fall month to enjoy the beach is September, but October can be mild too and is a good time for fishing and golfing. 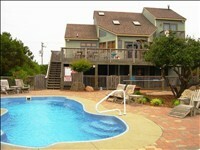 Peruse over 200 OBX vacation homes on VRC. 4) Gatlinburg and Pigeon Forge– Gorgeous, stunning scenery can be seen this fall in the Gatlinburg and Pigeon Forge areas of the Smoky Mountains. Grab your sweaters and be ready to enjoy fantastic sights, cool mountain air and a multitude of live entertainment options. 5) Northern Georgia - Helen, Ellijay, Blue Ridge and the surrounding areas are a great fall getaway destination. Easy access from Atlanta, beautiful fall colors and river and lake locations make this area very desirable for leaf peepers, mountain bikers, hikers, and those looking to fish. 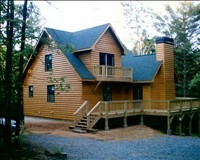 VRC has over 50 vacation home options in Northern Georgia. Have a fantastic fall and let us know if you are heading to the mountains or taking off for one last beach trip! It’s been a long, strange spring that felt more like a lingering winter around most of the US. Cries of “fire the groundhog” were heard as we bundled up and endured several, late in the year, snowstorms. But, it looks like summer is finally arriving and everyone can jump (glide in with grace, if you prefer) in the ocean and enjoy the cool refreshing water. Yes, it’s vacation time! You have planned your vacation, right??? You know, that place with the great pool, that awesome beach condo, the house with the amazing view? Well, better late than never! Look below for some fantastic ideas to cool off at the beach this summer. No more excuses. Go enjoy, relax and have a great summer vacation! 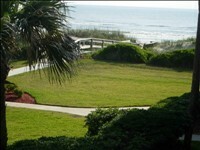 1) Coastal South Carolina – South Carolina lets you pick your beach speed. Ready to hit the ground running and do it all? Myrtle Beach is right up your alley. 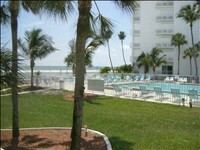 It has enough offerings and activities to keep you busy without even stepping onto the sand. On the other hand, there is the less commercial, more environmentally conscious Hilton Head Island. Both destinations offer great beaches and golf. In between the two areas lies Charleston with its historical charm and outlying island destinations. Choose from over 200 VRC rentals in coastal SC. 2) Florida's Gulf Coast - this beautiful stretch of beaches is an amazing and affordable summer destination. 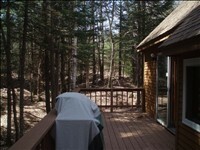 “High season” includes winter and spring months with discounted rates offered for summer rentals. From Clearwater Beach south to Naples, you can choose from over 300 VRC homes on or near the clear turquoise blue water of the Gulf of Mexico. 3) The Outer Banks of North Carolina: The Outer Banks are a unique group of barrier islands stretching for over two hundred miles along the coast of North Carolina. Great surfing, fishing, and shell collecting make the OBX a popular vacation spot for many East Coast families. From the northern 4WD beaches of Carova with their wild Spanish mustangs, to the remote southern gem known as Ocracoke Island, the Outer Banks are a special vacation area. 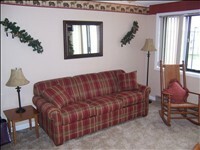 And, with over 16,000 rental homes available, you can always find something! 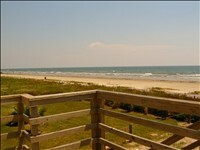 From Galveston all the way down to the end of South Padre Island, there are miles and miles of pretty beaches. Go surfing on South Padre, fishing in Port Aransas and hit the attractions on Galveston. Whether you like crowds and lots of activities or the solitude of a quiet beach, you can find the perfect spot on the Gulf Coast of Texas. Winter, Winter where is the snow? Fun places to go when it snows! Still waiting for our deluge of snow from last winter, let alone this winter. I keep hoping for more fun days on the slopes in the mid-atlantic region, but in the meantime, let’s find a few places to go when it snows. Whether seeking deep powder or hoping to get as far a way as possible from the white stuff, I think you will like the following suggestions. 1)	New Hampshire’s White Mountains - This beautiful area of the country is a fantastic destination for skiing and snowboarding for a long list of reasons, but the top one is the multitude of ski resorts in a small geographic region - Cannon, Attitash, Bretton Woods – close to 20 resorts total. 2)	Snowshoe Mountain, WV – Beautiful mountain scenery, great fun (skiing, snowboarding, snowmobiling) and options without being overwhelmed. Snowshoe is a nice day trip drive from VA, OH, PA, MD, KY, TN. Snowshoe was named best ski resort in the Southeast by On the Snow in 2018 - need I say more? 3)	Lake Tahoe, NV & CA – Gorgeous lakeside ski resorts abound throughout all the areas of the lake. Even if you don’t ski/snowboard the scenery and activities will keep you busy during a winter trip. From gambling on the NV side to snowmobiling and spas throughout, you are sure to find a great spot. 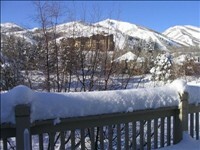 4)	Park City and Deer Valley, UT – Fun town (the Sundance film festival is held here for good reason), wonderful ski resorts right next door to each other with skiing only at Deer Valley (one of only a few resorts in the US that is ski only) and skiing and snowboarding at Park City. You can’t go wrong planning a trip here. 5)	Florida Keys – Get away from the snow, warm your toes and relax in the sunshine down in the keys. You don’t need to visit a third world country in the Caribbean when we have the fabulous FL Keys. Go fishing, diving, snorkeling, play tennis, golf, sightsee, or do absolutely nothing. The temps for this week in January – highs in the low 80s to upper 70s! © 2019 Vacation Rental Connection. Inc., All rights reserved.